Hauntings exist all over the world, but there are a few locations with sordid pasts and dark histories that are especially sinister and purported to be doorways to the spirit underworld. 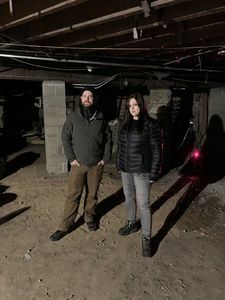 In Travel Channel’s new series, “Portals to Hell,” premiering on Friday, April 26 at 10 p.m. ET/PT, television personality and executive producer Jack Osbourne, and paranormal researcher and investigator Katrina Weidman, join forces to explore this phenomenon, investigating each haunted location in search of irrefutable evidence that a spirit world exists, and death is not the end. 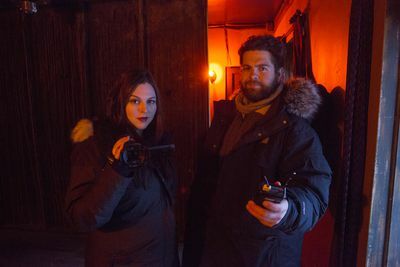 Traveling all the way to Juneau, Alaska, Jack Osbourne and Katrina Weidman check into the Alaskan Hotel to investigate the historic property. As an old gold mining hotel, the Alaskan Hotel was built for luxury but it also has a notorious past of crime and prostitution … and a reputation for demonic activity. As the team begins its investigation, things take an unexpected turn to the dark side. 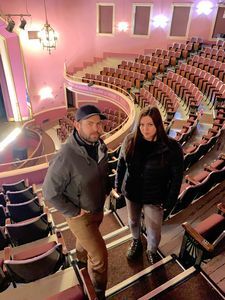 It’s a real-life case of Phantom of the Opera as the team descends on the sleepy town of McConnelsville, Ohio – home of the Twin City Opera House, a majestic old theatre long rumored to be haunted by a host of sordid spirits. Retired police officer Eric Glosser has an ongoing investigation into the dark mysteries of the opera house. After being assaulted by a terrifying and aggressive force, he turns to Jack Osbourne and Katrina Weidman for backup. But during their investigation, it’s Osbourne who ends up in the spirits’ crosshairs. The investigation heats up in Wilder, Kentucky – the home of Bobby Mackey’s, a country honky-tonk considered by many to be the most haunted place on earth and the location of an actual portal to hell. The team attempts to make contact with the other side and faces the possibility of a terrifying spirit possession. Special guest, psychic Cindy Kaza, joins the investigation and receives a dire warning: the team is in serious danger. 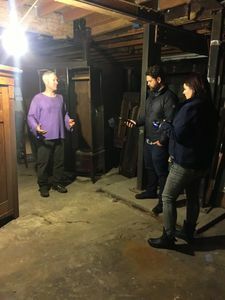 The team gains unprecedented access to never before investigated areas of Philadelphia’s Eastern State Penitentiary – one of the country’s oldest standing prisons. Unimaginable suffering and death have left this decommissioned penitentiary active with paranormal activity. 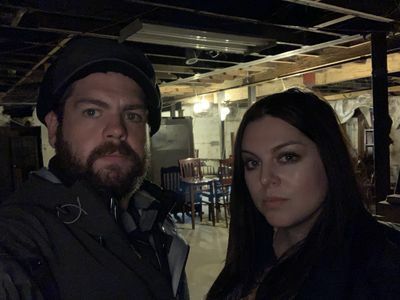 Jack Osbourne and Katrina Weidman explore areas of the 11-acre property where the most death and murder occurred and deploy Michelle Belanger, their “psychic blood hound,” to help search for the truth. Additional locations featured this season include: Pennsylvania’s Emerald Hill Hell House; the Trans-Allegheny Lunatic Asylum in West Virginia; New Orleans’ infamous LaLaurie Mansion – where they are the first and only paranormal team to ever investigate the disturbing hauntings within its walls; and Strawberry River Inn on the outskirts of Utah’s Skinwalker Ranch. Check out “Portals to Hell” on TravelChannel.com for more, including special show extras, behind-the-scenes photos and exclusive videos. Follow @TravelChannel and #PortalsToHell on Facebook, Twitter, Instagram for additional content and updates. 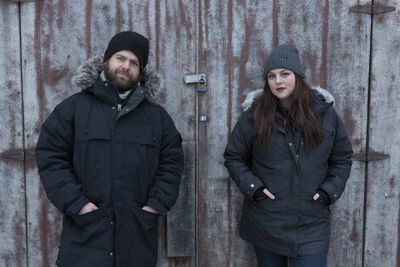 Follow the team on Twitter: @JackOsbourne and @KatrinaWeidman and on Instagram: @jackosbourne and @katrinaweidman. “Portals to Hell” is produced by Osbourne Media and Critical Content for Travel Channel. For Osbourne Media, the executive producers are Jack Osbourne and Peter Glowski. For Critical Content, the executive producer is Jenny Daly and Tom Forman. Elaine White executive produces the series for Osbourne Media and Critical Content. 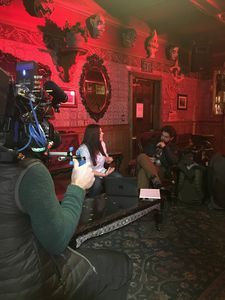 For Travel Channel, the executive producer is Anna Geddes, Jane Latman is general manager and Henry Schleiff is group president of Investigation Discovery, Travel Channel, American Heroes Channel and Destination America. Critical Content is a leading global independent content studio. Launched in October of 2015, the company focuses on unscripted and scripted programming for broadcast, cable and digital platforms. Critical Content currently has more than 50 projects in production for more than 30 different networks. Recent series include “Catfish” (MTV), “Very Cavallari” (E! ), “StayHere” (Netflix), “Get a Room with Carson & Thom” (Bravo), “Ozzy and Jack’s World Detour” (A&E), “Who Shot Biggie & Tupac?” (FOX), “Caribbean Pirate Treasure” (Travel Channel), “The Case Of: JonBenét Ramsey” (CBS, Netflix), “The Great Food Truck Race” (Food Network), “Disney’s Fairytale Weddings” (Freeform), “Racing Wives” (CMT), HOME FREE (FOX), “StartUp” (Crackle, Amazon), “Limitless” (CBS), “The Lowe Files” (A&E), and “Hanging with The Hendersons” (Animal Planet).